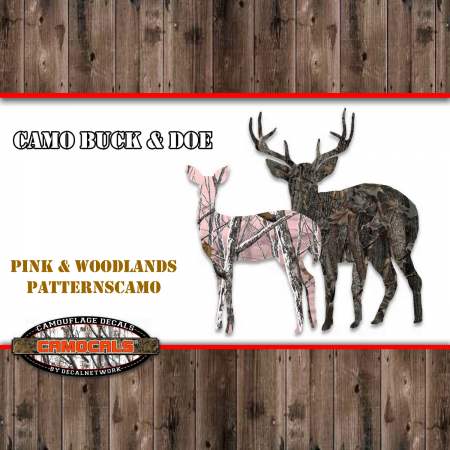 Buck and Doe camouflage vinyl decal. Pink camo doe with woodlands camo buck. Our camo decal also know as "CAMOCALS" are made from high quality vinyl material, printed with UV inks and laminated with a glossy clear finish for extra protection from outdoor elements and fading. We off this design in three sizes. 8"x 8". Contact us if you need another size option.